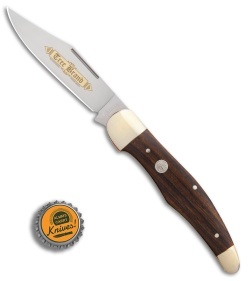 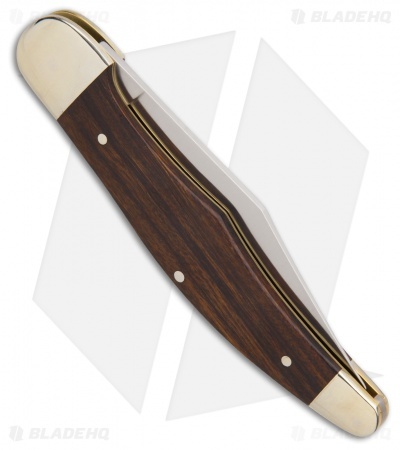 This Boker Classic Gold Hunter's Knife features a proven Boker design with desert ironwood handle scales and nickel silver bolsters. For the Classic Gold series, Boker revived a sense of classic craftsmanship, finishing the blades with genuine classic gold etching that used to be common for high-quality knives. 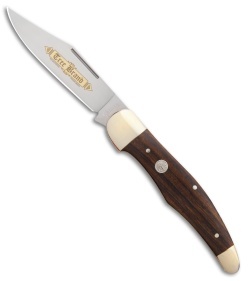 Boker calls the Folding Hunter, "the hunter's pride" and for good reason! With over a century of knife making experience, the Folding Hunter is a knife you can rely on! 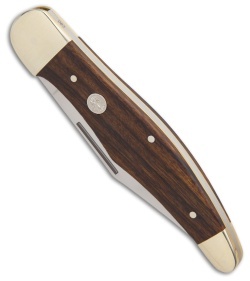 Made of 440C stainless steel the 4" blades prove you the tools you need while out in the field. With genuine ironwood handle scales and contoured handles, you'll be sure to maintain a secure grip, whether you're processing a squirrel or an elk!